Automatic Maintenance is designed to address these problems with maintenance activity in windows. They are Deadline Scheduling, Resource Utilizing conflicts, Energy Efficiency and Transparency to the user. This feature of windows facilitates idle efficiency and permits all activity to run in a timely and prioritized fashion. Windows could run (when opted for) a schedule check on to your system whenever you are not using your system on a daily basis. Windows do this so that it could check for updates related to windows, software installed on your system. 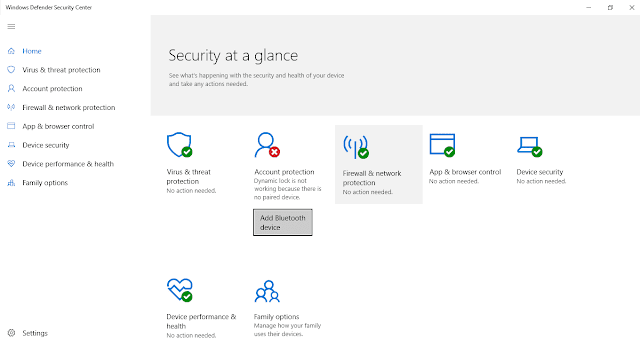 System diagnostics and Security scanning could also be done along with the “Updates”. Automatic Maintenance automatically stops currently running maintenance activities if the user starts interacting with the computer. This will resume its activity when the system returns to idle status. However, in case of deadlines, a user will be notified about the activity and provide an option for a manual run of automatic maintenance. Here in this article, we will tell you on how to adjust the automatic maintenance settings so that your system wakes up at some particular time (fixed by you) checks for daily maintenance tasks. Note that to make any change on to your system, you need to login as an administrator so that you have the full rights. Step 1: At first, you need to open the System and Security. You can access System and Security either by Control Panel or through the system settings. Here, in this article, we will see to open this through Control panel as this is the easiest way to access it. Look at the screenshot shown below and follow the exact path i.e. Control Panel >>System and Security. Step 2: Here, in this window go straight to the System and Security and click on Security and Maintenance. This will open up a new window. A screenshot of this is shown below. Here, go to the Maintenance option. There is a drop down menu present at the right end of maintenance. Click on here to expand it. Step 3: This will open the Automatic Maintenance section of your system. Here, go to the bottom and tick against the box which will allow scheduled maintenance to wake up your computer at the scheduled time. You can select the scheduled time for your system yourself. By default the automatic scheduled is set at 2 AM. A screenshot of this is shown below. After updating Windows 8.1 operating system, there arises some problem in the navigation pane of the Windows Explorer. The problem is you can’t see the Libraries in the navigation pane of the Windows Explorer. Libraries is the default place where you can see the display contents like Documents, Music, Pictures and Videos. Libraries play an important role because all the apps in the Start Screen-use Libraries folders to store their respective contents. For example, the Pictures app uses the Libraries Pictures folder as the default location to display the contents. Here in this article we will show you how to retrieve the Libraries in Windows Explorer after updating Windows 8.1 operating system. Open Windows Explorer (This PC). Select the View tab from the menu listed on the top of the window. Now double click on the Options from the submenus. A new Folder Options window appears on the screen. The General tab is selected by default. So under the General tab select Show Libraries box. ezPDF Reader is one of the best pdf readers available for Android as well as Windows users. This has been known for the best-selling PDF viewer and annotator for Android for last three years. There are hundreds of new features if you buy its paid version. The free version of this app allows restricted access to its various functions. At first install this app on your device. Android users can have this app from Google Play Store. Other smartphone users can have this app from their respective App Store. This app has recently been launched for Windows users too. Once you have installed this app on your device, open this app by tapping on its icon present on the home screen. A screenshot of its interface is shown below. The interface of this app has been designed in a very unique way with its fantastic way of turning pages, opening and closing of books etc. In the screenshot below, you can see various options available at the top panel of this app. Some of these are explained below. My Docs: - This one is the Default folder of this app. There is way out there to change the default folder about which we will tell later in this article. Recent: -This one consists of all the Pdfs which have been opened recently using this app. If you want to read a recently read article, you can always search for that file here. All PDF: -This consists of all the Pdfs which are present in your device at different location. One important about this section is that you could know about the location of any particular pdf directly from here. Web Docs: - As the name suggests, it provides you an option to browse Google Docs or direct web browsing for any pdf. At the top of this panel, you can see there are three options present at the right topmost corner. These are settings, Import File and Home options. These three options are described below along with pictures shown in the screenshot below. Clicking on the setting icon, will a bottom panel consisting of varying options. These can be used to copy, move, paste any files from one location to another. You can also create a new folder using the first icon of this panel. Look at the bottom of the second slide in the below shown screenshot. This is the settings panel. Clicking on the second option will open a window showing you the options to import files from other places. The third and the last option “Stretching” is basically the Home button of this app. This will give you an option of changing the default folder or just go to your already present default folder. By default it has been set to My Docs. Note: - For KitKat users, ability to write to SD card has been restricted. If you still want to do that, you can follow these steps to get rid of this restriction. At first select “Open from Document Provider” from all Pdf tab. Here, you will see the SD card option. If you don’t find it here, go to the settings option and turn on “Display Advanced Devices” and “Display File Size”. Here, you can find SD card option. Click here and open PDF. ezPDF Reader is one of the best pdf readers present in the market. Its unique way of turning pages, opening or closing of any document, file will make you to have this app forever with you. Again, the features provided in this app are just too awesome. It is a worth having app for all smartphone users. Have this app at your respective App store and tell us your views about this app in the comments below. how to force a specific visual style file in windows 10. Here in this article, we will tell you on how to force a specific visual style file by entering the path (location) of the visual style path in windows 10. This can be a local computer visual style or a file located on a remote server using a UNC path. Requirements: - At least windows server 2003 operating system or windows XP professional. Step 1:- Type “gpedit” in the Cortana search of your windows. This will show you the Group Policy Editor at the top. Click on its icon to open it. A screenshot of this Editor is shown below. You can follow the step down method shown in the picture to reach the target setting. Step 2:- You can also reach the destined target by following the below written path. This will open the personalization window as shown above. Now go to the second facet and search for “force a specific visual style file” or just come to the bottom. Step 3:- Double click on this icon to open the edit window. You can also open its edit window by right clicking on its icon and then selecting the “edit” in the context menu. This will open the Edit Window. Step 4:- By default, the state of this setting is set to “Not Configured”. To force a specific visual style file, you need to enable this function here on this edit window. Tick against the bubble present left to the function “Enabled” in this window. In the comment box, you can add some keywords present on the right panel in the edit window. Step 5:- At last click on Apply and then press OK. When you hit ok, edit window will be closed and you can see the Local Group Policy Editor once again. Here, you can see the state of “force a specific visual style file” changed to Enabled. If you have added some comments, it will put a “Yes” just below the comment section. If you enable this setting, the visual style file specified by you will be used. However, a user can’t apply a different visual style while changing themes. Suppose the file specified by you is not available, the default file will be loaded. Users can select the visual style which they want to use in their PC by changing themes only when the setting is disabled or set to not configured. At first, start your web browser. Next copy the below given entire URL link and paste it to your browser tab. Click on the link to direct access in new browse tab. Once the Galaxy S4 online simulator window loads successfully on your web browser, go to at the bottom panel and click on using the Simulator link under category panel. Actually, this link lets you move your mouse cursor over a category one by one to read or view the related slide view tutorials. At first, move your mouse cursor over the selected categories and choose your preferred option from the appeared panel. Now the selected option will be opened in a new browser tab. Then click on printer icon on the left side. At an early stage, Microsoft has released the Windows 10 Technical Preview. In this new operating system, you have encountered many new and smart features comparing to Windows 8/8.1 OS. Now, Microsoft again updated its OS as named under Windows 10 Technical Preview 3 (Build 9879). Microsoft allows you to download and upgrade the latest version of Windows 10. It comes with a new secret Smart Screen feature which is known as the Continuum UI. In fact, Continuum UI is the improved version of Metro. It is just about switching between the touch UI and the mouse or keyboard-centric UI as depending on that peripheral is attached to your PC and however, it is docked or undocked. As it seems that both the current Start menu and Start screen UIs would be replaced by the Continuum User Interface in future. It works also in Window mode. In this article, we are sophisticating to active the new Start Screen feature "Continuum UI" on your PC desktop. Let you know the following essential tips in the easy and simple way. 1. Press Windows button and R key simultaneously and write the text regedit.exe in the open box to launch the Registry Editor on your desktop. Note: If the above keys does not exist already then you have created manually. 3. In the current registry key Launcher, create a new DWORD value of 1 under UseExperience name. 4. Now you can check it after signing out or restarting your the Explorer Shell once again. Hope, you will really enjoy this new feature Continuum UI ( similar to Smart Screen) on your PC comfortably. Useful Tools for Checking Grammar and Spelling errors Online. Here I am going to writing about four useful tools to find out spelling and grammar error occur during writing an article on any specific topic. At home page of this website simply paste your written text in given box and press on check writing button. After pressing this button, all mistakes regarding spelling and grammar will be underlined. Now you can click the underlined word and see the possible suggestions for correction. In this website, you can check maximum 250 words of paragraphs at a time. This tool describes your errors. At all of above pages of tools, you have to only copy and paste your written text and click on the given button for checking the errors regarding spelling and grammar. Windows Firewall, also known as Windows Defender Firewall, is a utility that helps protect your machine from hackers and other potential threats on the Internet. Your device is always exposed to hackers and dangerous software when connected to the internet and Windows Defender Firewall can protect your device from all these. There are times when some software or applications need deactivation of this firewall so that they get installed successfully. So for that, you need to be able to open Windows Defender Firewall in Windows 10 so you can turn it off or on as needed. There are few methods like using Start, control panel, system tray to Enable / Disable Windows Defender Firewall in Windows 10. 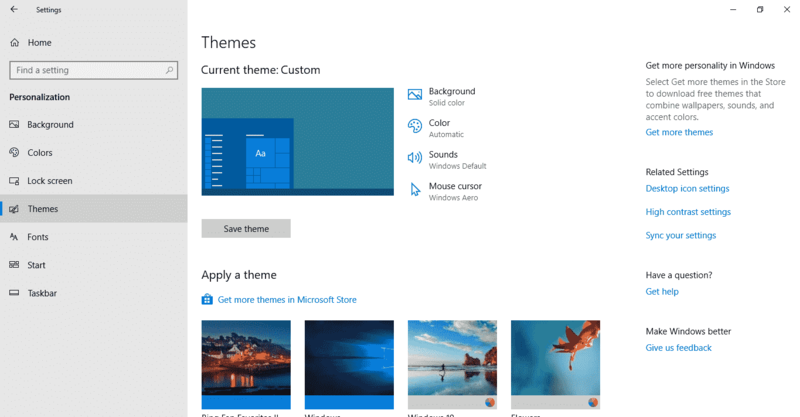 When you are tired of using the same theme for a prolonged period of time, it’s obvious that you need some tips to Open Themes Settings in Windows 10. Themes make the working lively changing appearance, sounds, layouts and other associated things. However, Microsoft made easier to Open Themes Settings in Windows 10 through Windows Settings app. Moreover, users can access the Theme Settings from Desktop shortcuts, Start menu even searching it in Cortana. We will discuss these all methods in details here. This is how you can get access to the Theme settings and change it whenever required.